Cars are getting more and more advanced! More and more cars are coming out with WiFi and LTE capabilities, and brands are starting to find ways and means of monetizing this. In the United States (but it may be spreading to other countries soon), brands like Shell, Starbucks, Dunkin Donuts and many more are partnering with carmakers to give more options to their customers. But General Motors (GM) may have just come up with the most genius thing of all. 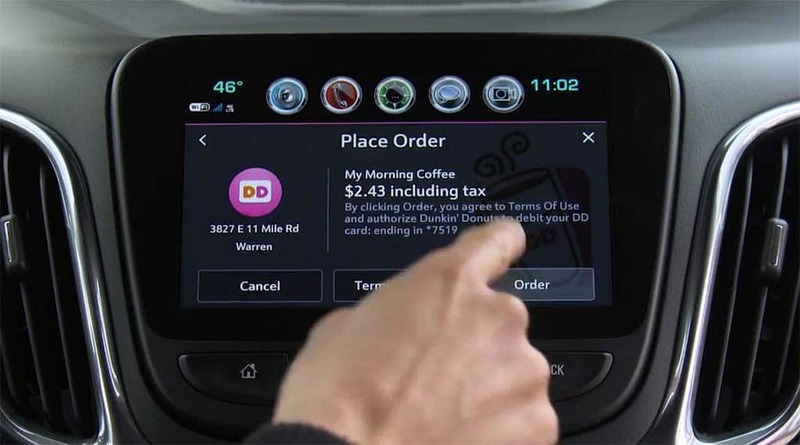 GM has unveiled a new on-board marketplace where drivers can buy coffee and petrol, and make restaurant and hotel reservations, all from the dashboard of their cars. Dubbed the GM Marketplace, this amazing new feature will be automatically uploaded to around 1.9 million 2017-and-later models immediately, with four million vehicles across the Chevrolet, Buick, GMC and Cadillac brands getting it by the end of 2018. The brands which have jumped on the bandwagon include the likes of Starbucks, TGI Fridays, ExxonMobil, Parkopedia and Priceline.com. GM’s idea is that people will prefer to use their car dashboards to make “on the road” transactions, like petrol or coffee/breakfast at drive throughs. Still, customers will need to line up at the drive throughs to collect their coffees, and pump petrol the same way everyone else does. Would you like to see this system implemented in Malaysian cars? What do you think would be the effects of it? Leave a comment below!